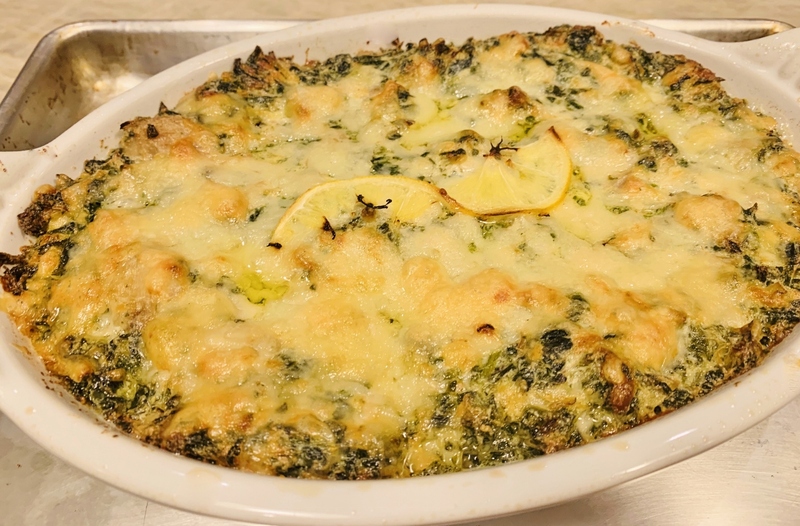 Roasted Lemon Spinach & Artichoke Dip - Recipe! - Live. Love. Laugh. Food. You can see citrus season is everywhere from new-fangled dishes popping up on restaurant menus to piles of fresh oranges, lemons, kumquats and limes at farmer’s markets and grocery stores. For those of us lucky enough to have a lemon tree or two – we are buried with balls of bright yellow juice just waiting to be sliced, pressed and even roasted into amazing recipes. Roasting citrus is sort of a new idea, even for me. 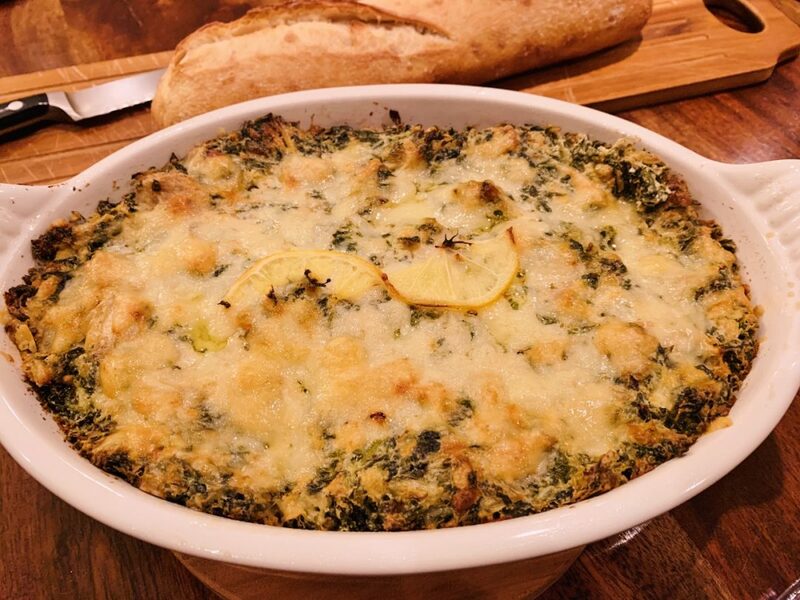 I have roasted lemons with vegetables before, but actually roasting them on their own and then folding them into a traditional recipe like this Spinach & Artichoke Dip is unique for me. I enjoy adding a spritz of lemon juice to almost anything, but mixing a deeply roasted fruit into a recipe just changes the game – it adds citrus in a different way. Placing sliced lemons on a sheet pan and roasting them for a few minutes is all that it takes and when their cool, mince them into bits. 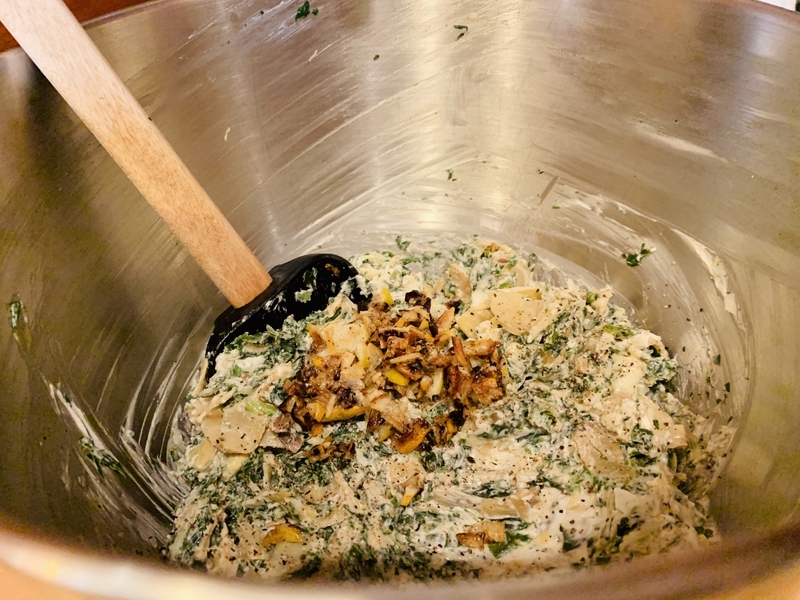 I think the combination of dark green spinach leaves, mildly sweet marinated artichokes, a little cheese and roasted lemon makes this dip standout and become much more than standard fare. I like to serving it straight from the oven with a toasted baguette and a crisp white wine like a Roussanne or Sauvignon Blanc. This dip definitely should be on your appetizer list during this season, so you can take advantage of all the citrus available. Preheat oven to 375 degrees. Grease a 1-quart oven-safe dish. 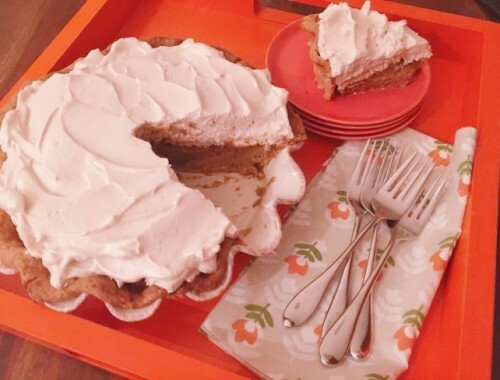 Slice lemon and place all, but three slices on a sheet pan. Toss slices with oil and roast for 8 minutes. Remove and let cool. Squeeze water from spinach using a kitchen towel. 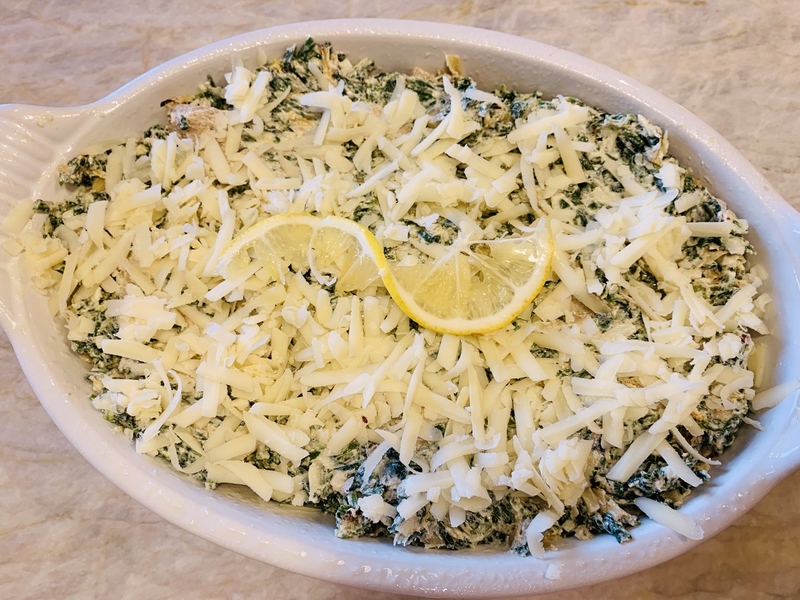 In a stand mixer or large bowl, add spinach, chopped artichokes, cream cheese, 1 1/2 cups grated cheese, Worcestershire, garlic powder, salt and pepper. Mix on low until combined. Mince roasted lemons and add to spinach mixture. Mix by hand until incorporated. Spoon dip into prepared dish and sprinkle with remaining cheese. Top with fresh slice of lemon. 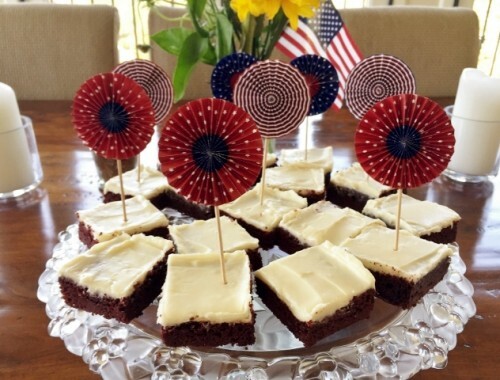 Bake in oven on a sheet pan for 15-20 minutes or until golden and bubbly around the edges. 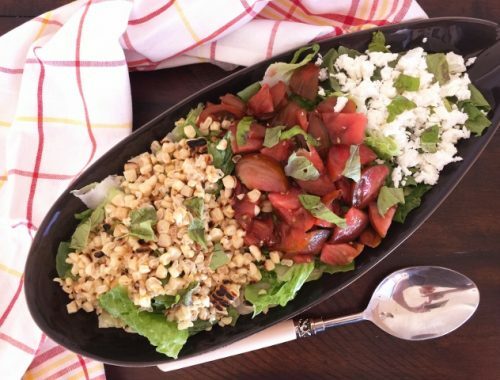 Serve with toasted bread or crackers. Enjoy!